Aden, February 26- In cooperation with the United Nations Educational, Scientific and Cultural Organization (UNESCO) and the International Program for the Development of Communication (IPDC), Mansa Foundation for Media and Development Studies held on Monday the first consultative meeting on countering hate speech and violence incitement in the Yemeni media in Aden. Adel Abdulmughni, the Project Director, said holding this consultative meeting in the presence of a number of media leaders in Aden in line with these circumstances is a good step to confront the hate speech and incitement in the media. This meeting will also enhance the role of these media outlets in the social and moral responsibility towards the society and public peace, said Abdulmughni . The Project Director delivered a brief explanation of the project, indicating that the project aims at creating common convictions among the media owners and leaders that the continuation of the hate discourse and incitement is a serious issue. He emphasized the need for finding ways to reduce and confront the hate discourse as well as agreeing on general principles including the professional and ethical standards that take i into consideration the social responsibility of the media in a way that serves the purpose of peace, coexistence and the rejection of hatred and violence. Amin Ahmed Abdu, the Freedoms Officer at Yemeni Journalists Syndicate, commended the project of countering hate speech and violence incitement, stating that such a project is an essential need for the media in the light of the rhetoric of hatred and incitement. Abdu said that the political orientations have played an unprecedented role in feeding the hate speech, hoping that the project's outcomes would contribute to reducing inflammatory rhetoric in the media. Dr. Mohamed Abdulhadi, a teaching staff member at the University of Aden, emphasized the urgent necessity of this project for countering hate speech particularly after the majority of the media outlets have deviated from their basic roles, turning into tools to fuel the conflict and nourish hatred. He stressed the need for upholding the moral responsibility of the press towards the society. Aden-based journalist Majid al-Shuaibi reviewed the situation of the media in Aden and the southern provinces in line with the multiple loyalties, the inflammatory speech and weak professionalism. Al-Shuaibi explained the situation of the media and the urgent need to improve it and enhance the role of the positive media, stressing the need to organize the media according to professional regulations. The participants listened to the legal and professional description of the hate speech and incitement. During the meeting, the legal texts were reviewed in domestic and international legislations that criminalize hate speech, highlighting the need to evoke the values of the profession and create a professional code of ethics and codes of conduct. The Hate Speech Lexicon, which was prepared by Mansa Foundation, was also reviewed in the meeting. The lexicon was prepared on the basis of the monitoring reports that targeted 15 media outlets. 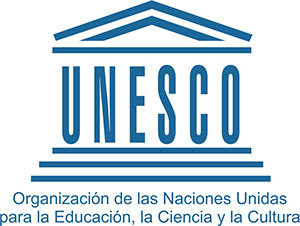 The meeting included a number of suggestions and discussions among the participants who appreciated the role of UNESCO for supporting this program, looking forward to its continuation and development so as to achieve the desired results and restore the positive role of the media in promoting the values of peace, coexistence and non-violence. 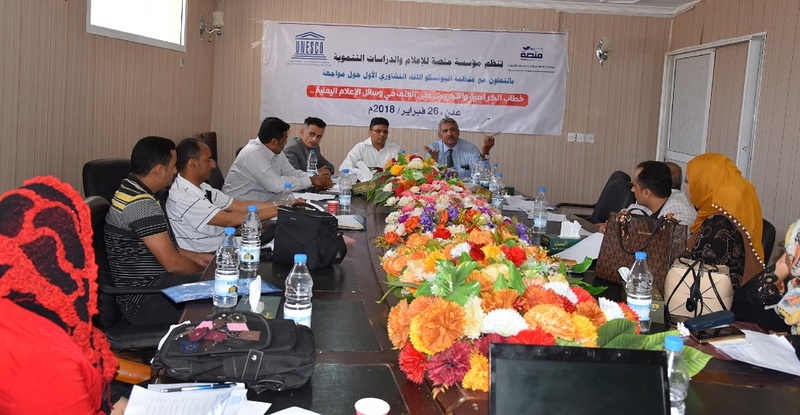 Mansa Foundation held the first consultative meeting on countering hate speech in Sana'a in early February in the presence of many media leaders. 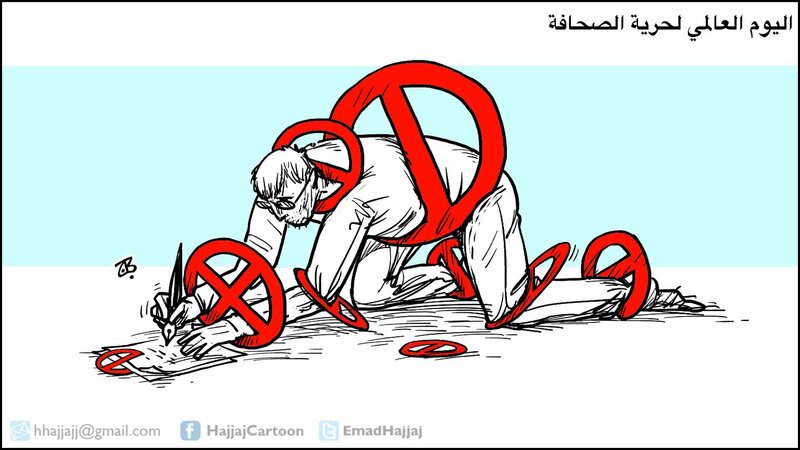 The second consultative meeting will be held in Sana'a and Aden in March as part of the activities of the six-month project which highlights the hate speech and violence incitement in the Yemeni media. The project will come up a consensus on the general principles of professional and ethical standards to counter hate speech.